Very nice photo. his face looks so funny!! So he likes lavender! Love to have some lavender plant in my garden! Great shot @sallybeth23! 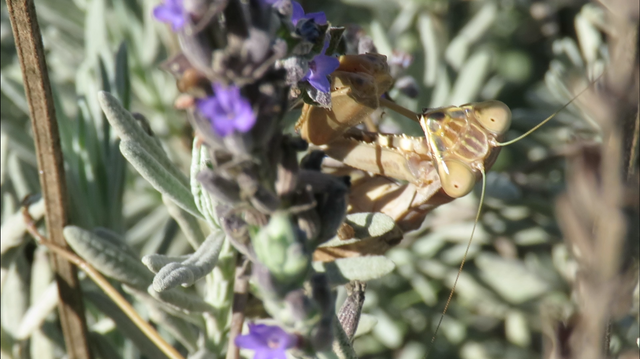 Mantis' are one of my favourite insects to find in the garden. They are so inquisitive! You got a 22.26% upvote from @upmewhale courtesy of @sallybeth23!